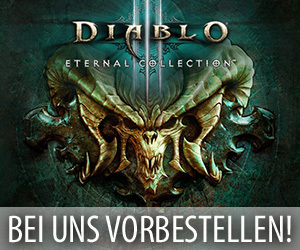 Die Entwickler von Blizzard haben in der vergangenen Nacht ein neues Update für die aktuell noch immer laufende Alpha zu Warlords of Draenor veröffentlicht. Dieser Build 18443 hat neben den für solch einen Patch üblichen Klassenänderungen auch einige neue Ladebildschirme für die 5 Spieler Dungeons aus WoD, sehr viele neue Erfolge, einige Karten und neue Modelle mit sich gebracht. 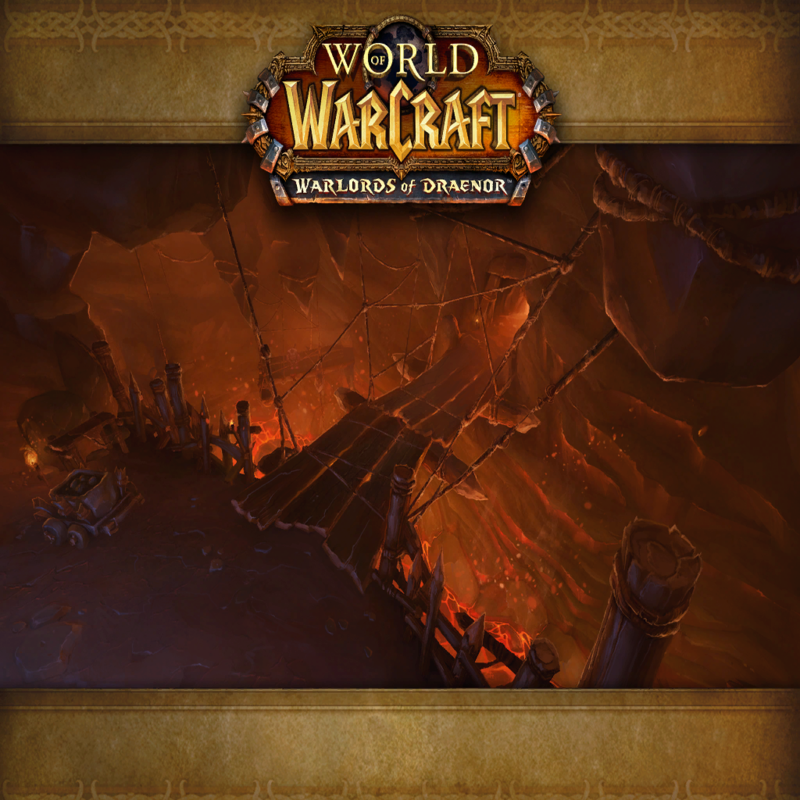 Bloodmaul Slag Mines: Defeat Gug’rokk in the the Bloodmaul Slag Mines. Auchindoun: Defeat Teron’gor in Auchindoun. 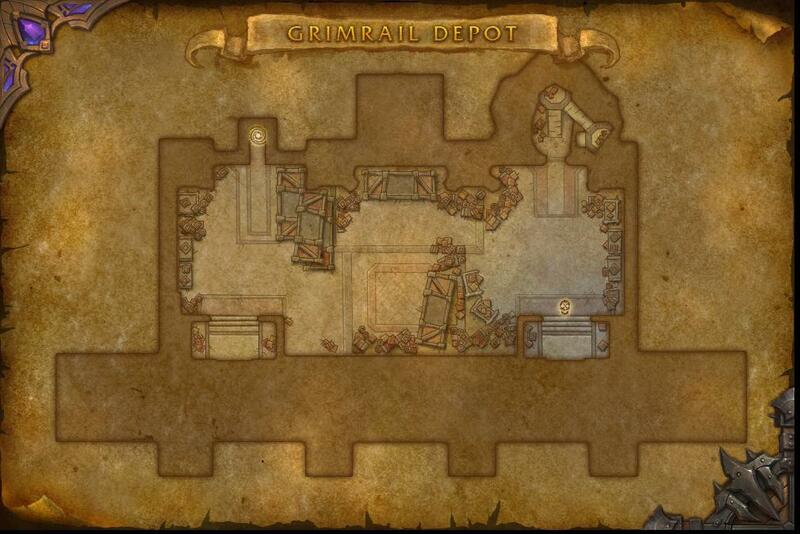 Shadowmoon Burial Grounds: Defeat Ner’zhul in Shadowmoon Burial Grounds. Upper Blackrock Spire: Defeat Warlord Zaela in Upper Blackrock Spire. 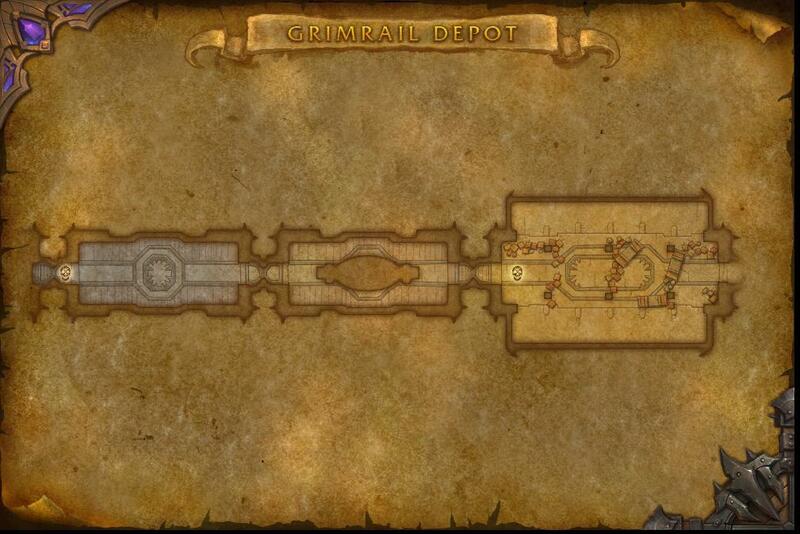 Grimrail Depot: Defeat the final boss in Grimrail Depot. Magnets, How Do They Work? : Defeat Orebender Gor’ashan without allowing him to cast Thundering Cacophony 5 times in Upper Blackrock Spire on Heroic difficulty. 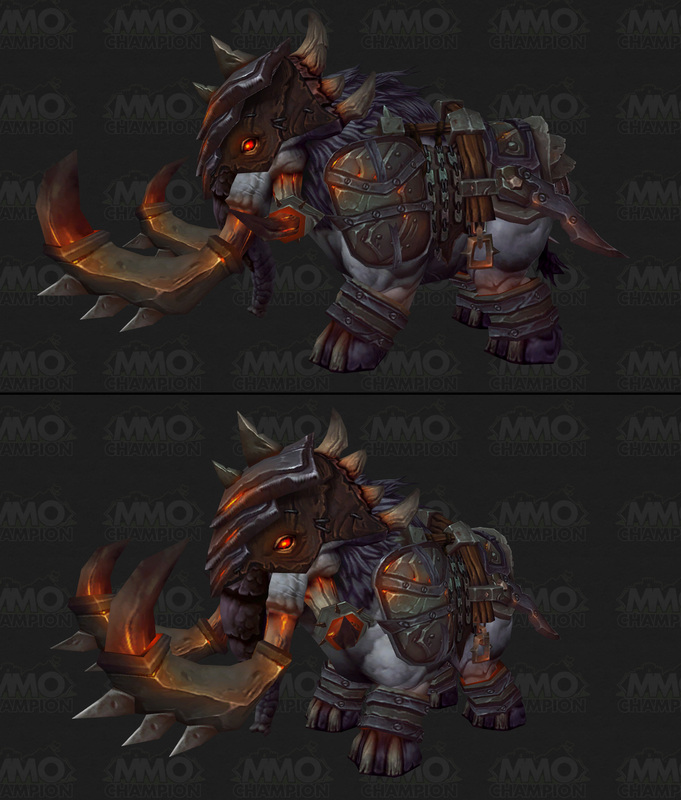 Heroic: Bloodmaul Slag Mines: Defeat Gug’rokk in the the Bloodmaul Slag Mines on Heroic difficulty. 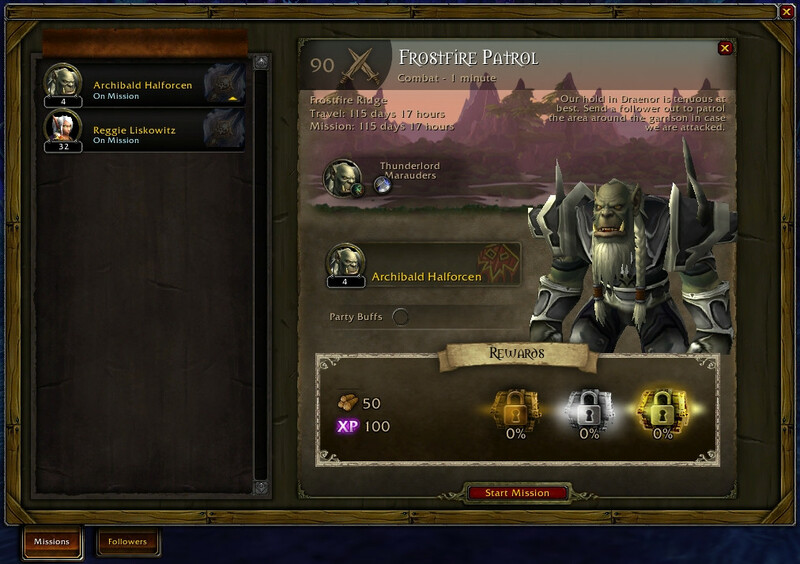 Heroic: Auchindoun: Defeat Teron’gor in Auchindoun on Heroic difficulty. 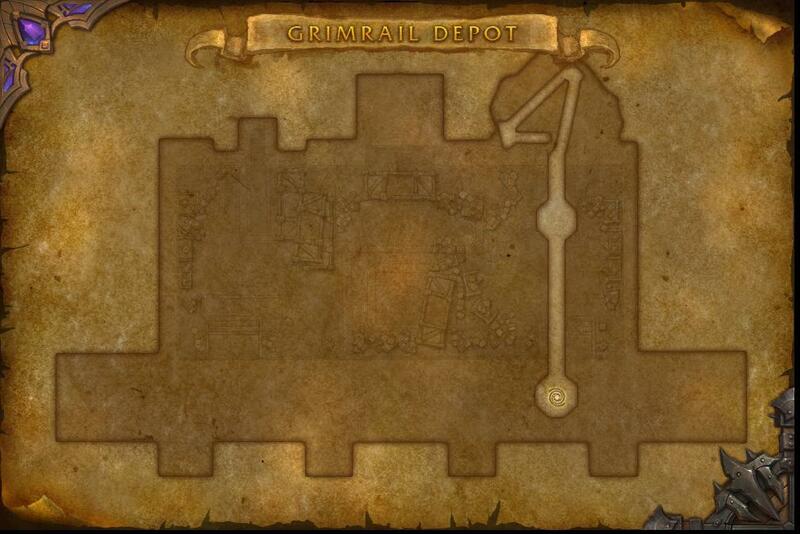 Heroic: Grimrail Depot: Defeat the final boss in Grimrail Depot on Heroic difficulty. Heroic: Shadowmoon Burial Grounds: Defeat Ner’zhul in Shadowmoon Burial Grounds on Heroic difficulty. Heroic: Upper Blackrock Spire: Defeat Warlord Zaela in Upper Blackrock Spire on Heroic difficulty. 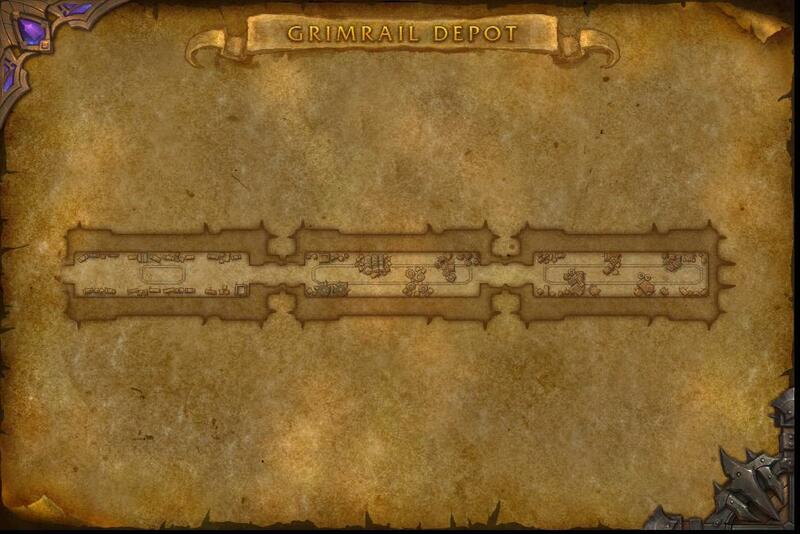 Bridge Over Troubled Fire: Kill 20 Ragefire Whelps in 10 seconds in Upper Blackrock Spire on Heroic difficulty. Dragonmaw? More like dragon fall! : Kill 5 Emberscale Ironflight before killing Warlord Zaela in Upper Blackrock Spire on Heroic difficulty. Leeeeeeeeeeeeeroy…? : Assist Leeroy Jenkins in recovering his Devout Shoulders in Upper Blackrock Spire on Heroic difficulty. Level 100: Reach level 100. Death Knight T17 Frost 2P Bonus: When Rune of Cinderglacier activates, you gain the Frostbite effect.Frostbite makes your next Obliterate consume no runes. Death Knight T17 Frost 4P Bonus: While Pillar of Frost is active, all of your special attacks deal 10% additional damage as Frost damage. Death Knight T17 Unholy 2P Bonus: Scourge Strike deals its shadow damage a second time at 50% of normal damage. 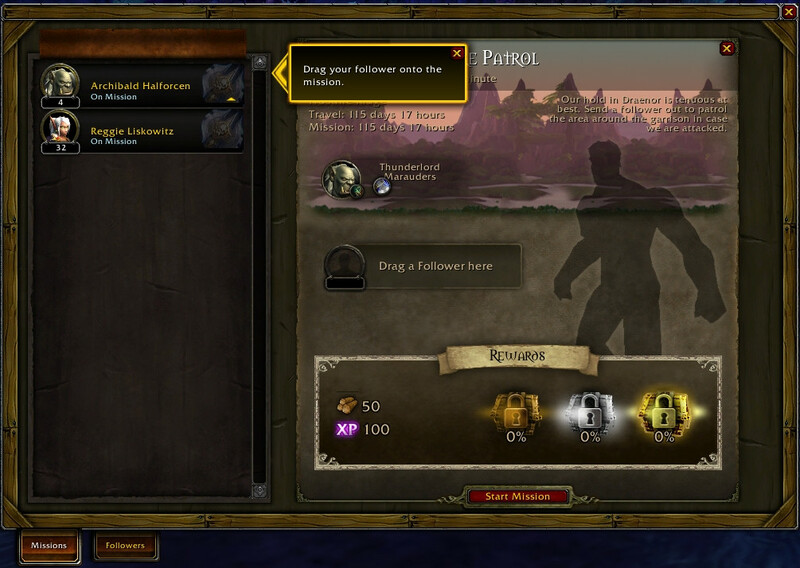 Death Knight T17 Unholy 4P Bonus: Increases the damage bonus of your Ghoul while under Dark Transformation by 10%. Item – Druid T17 Balance 2P Bonus: Reduces the cast time of Wrath and Starfire by 15%. Item – Druid T17 Feral 2P Bonus: Shred critical strikes reduce the cooldown of Berserk by 5. Item – Druid T17 Feral 2P Bonus: While Berserk is active, special attacks cause a Gushing Wound on the target.Gushing Wound deals 15% of the damage of the special attack to the target over until cancelled. Item – Druid T17 Restoration 2P Bonus: Increases the duration of the heal over time generated by Genesis by 2 sec. 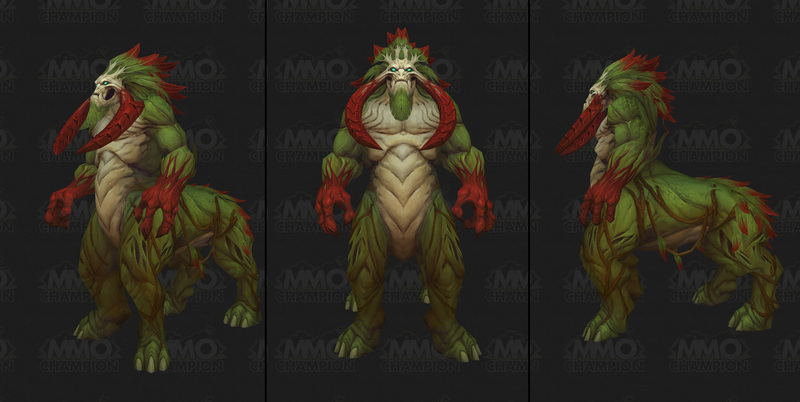 Item – Hunter T17 Beast Mastery 2P Bonus: Kill Command has a 25% chance to increase the size and damage of your pet by 10% for until cancelled. Item – Hunter T17 Beast Mastery 4P Bonus: While Bestial Wrath is active, one additional pet is summoned to fight with you. Item – Hunter T17 Marksmanship 4P Bonus: Activating Rapid Fire also grants you Deadly Aim.Deadly Aim increases your critical strike damage by 10%. 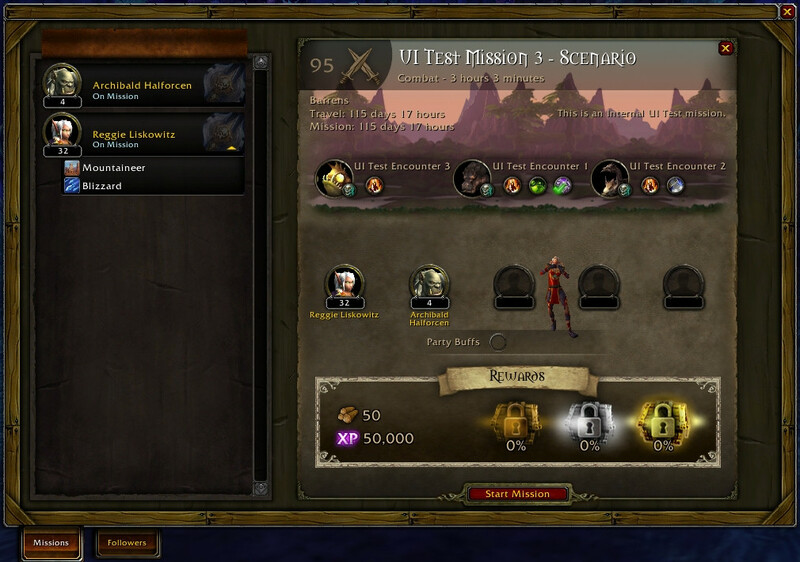 Item – Hunter T17 Survival 2P Bonus: Increases the Focus restored from Serpent Sting by 2. Item – Hunter T17 Survival 4P Bonus: When you hit a target with Explosive Shot, you gain the Rapid Shot effect.Rapid Shot increases your haste by 10%, stacking up to 0 times. Item – Mage T17 Arcane 2P Bonus: After using Evocation, you gain the Arcane Affinity.Arcane Affinity reduces the cast time and mana cost of Arcane Blast by 10% for until cancelled. Item – Mage T17 Arcane 4P Bonus: When you gain an Arcane Charge, you have a chance to gain the Arcane Instability effect.Arcane Instability increases the number of missiles your next Arcane Missiles will fire by 10. Item – Mage T17 Fire 2P Bonus: Casting Inferno Blast grants you the Firestarter effect.Firestarter reduces the cast time of your next fireball by 2000%. Item – Mage T17 Fire 4P Bonus: When Hot Streak activates, you have a 10% chance to gain the Pyromaniac effect.Pyromaniac causes all Pyroblasts to have no cast time and be guaranteed critical strikes for until cancelled. Item – Mage T17 Frost 2P Bonus: Frost critical strikes have a chance to strike the target with an Ice Shard, dealing (100% of Spell power) extra damage to the target. Item – Mage T17 Frost 4P Bonus: When you activate Icy Veins, you also gain Arctic Power.Arctic Power increases your Multistrike damage by 10% for 20 sec. 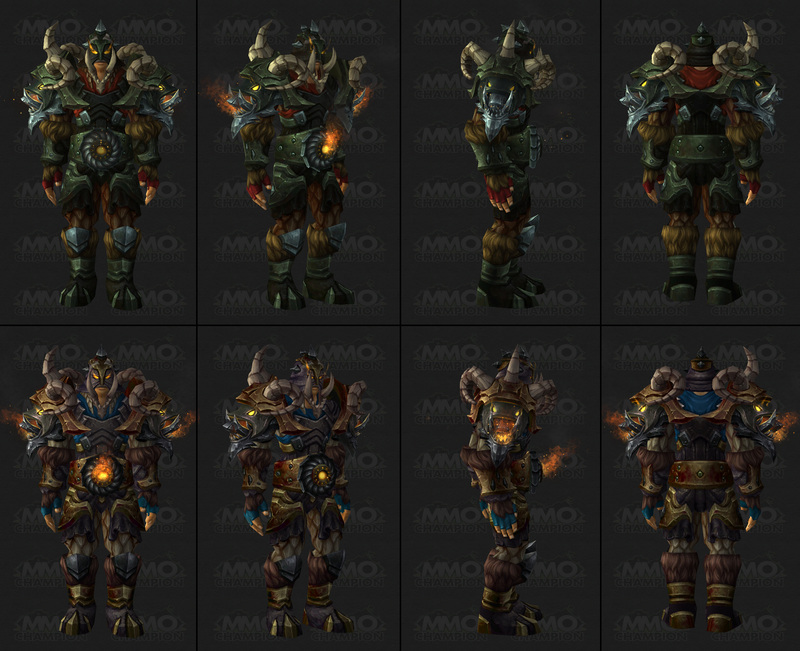 Item – Monk T17 Brewmaster 2P Bonus: Keg Smash now has 2 additional charge. Item – Monk T17 Brewmaster 4P Bonus: When you dodge an attack while Elusive Brew is active, you generate $165356 Energy. Item – Monk T17 Mistweaver 2P Bonus: Soothing Mist now chains to 1 extra target, but the healing is reduced by 50% on the second target. Item – Monk T17 Windwalker2P Bonus: While Tigereye Brew’s damage effect is active, you gain Forceful Winds.Forceful Winds increases multistrike damage by 2% per stack of Tigereye Brew consumed. Item – Monk T17 Windwalker4P Bonus: Fists of Fury generates 4 stacks of Tigereye Brew. Item – Paladin T17 Holy 2P Bonus: When you cast Word of Glory, you gain Light’s Favor, which lets you cast a free Light of Dawn at 25% effectiveness. When you cast Light of Dawn, you gain Lawful Words, which lets you cast a free Word of Glory at 25% effectiveness. Item – Paladin T17 Retribution 2P Bonus: Judgment has a 101% chance to immediately deal 10% of the total damage of your Censure effect to the target. Item – Paladin T17 Retribution 4P Bonus: Using Templar’s Verdict or Divine Storm has a 30% chance to empower you with Crusader’s Fury.Crusader’s Fury allows the use of Hammer of Wrath regardless of your target’s current health. 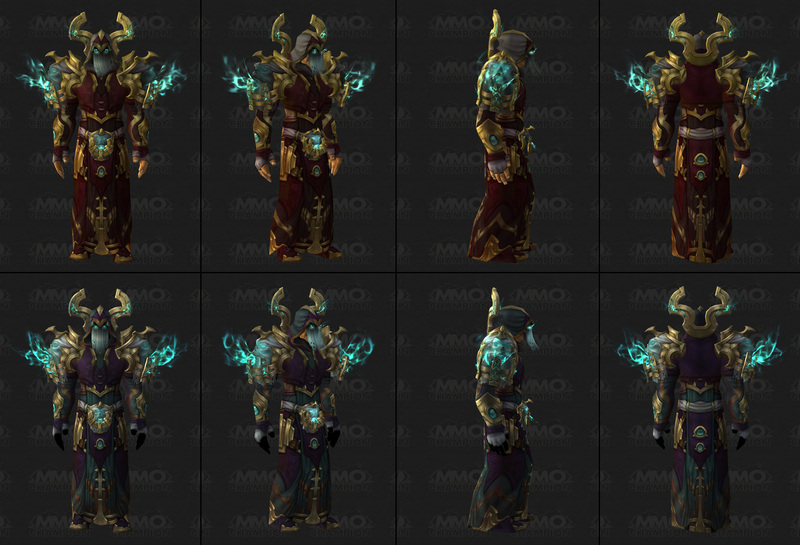 Item – Priest T17 Holy 2P Bonus: Prayer of Mending jumps to 1 additional $Ltarget:targets. Item – Priest T17 Shadow 2P Bonus: Mind Blast deals an additional 10% of its damage over until cancelled to the target. Item – Priest T17 Shadow 4P Bonus: Each time Devouring Plague deals damage over time, you gain the Mental Instinct effect.Mental Instinct increases your haste by 10%, stacking up to 0 times. 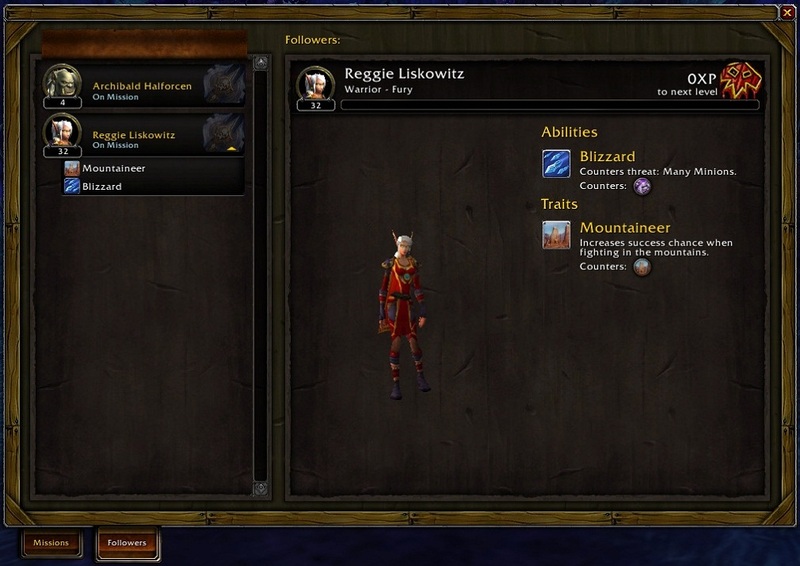 Item – Rogue T17 Assassination 2P Bonus: Mutilate critical strikes restore 10 energy. Item – Rogue T17 Combat 2P Bonus: When you use a finishing move, there is a 25% chance to gain the Deceit effect.Deceit makes your next Eviscerate consume no Energy and count as if you had 5 combo points. Item – Rogue T17 Combat 4P Bonus: Increases the chance for Revealing Strike to generate an extra Combo Point by 10%. Item – Rogue T17 Subtlety 2P Bonus: While Shadow Dance is active, your special attacks deal 10% additional damage as Shadow damage to the target. Item – Rogue T17 Subtlety 4P Bonus: While Shadow Dance is active, you gain the Quick Blades effect.Quick Blades generates 10 Energy every 1 sec for 10 sec. Item – Shaman T17 Elemental 2P Bonus: Lightning Bolt and Chain Lightning have a chance to activate the Thundercaller effect.Thundercaller causes your next 5 offensive spell casts to also strike the target with lightning. 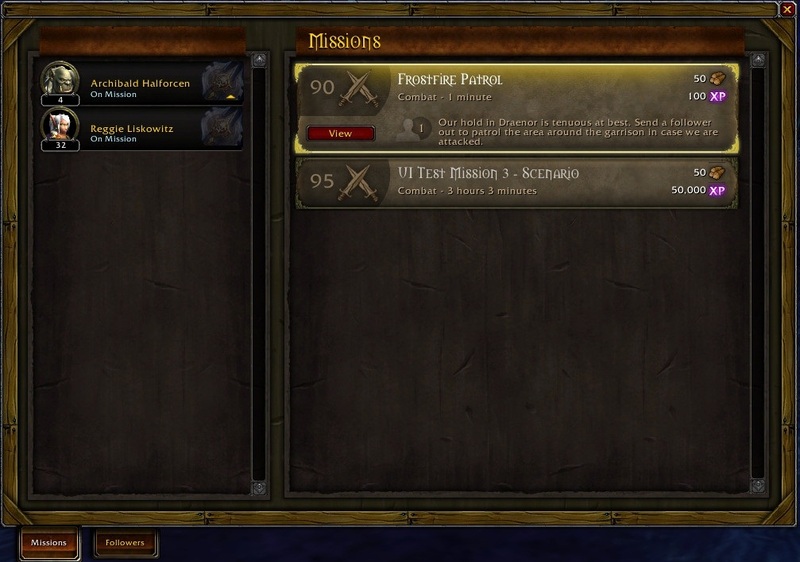 Item – Shaman T17 Enhancement 2P Bonus: Windfury Weapon now deals 2 extra attacks. Item – Shaman T17 Enhancement 4P Bonus: Stormstrike reduces the cooldown of Feral Spirit by 5 sec. Item – Shaman T17 Restoration 2P Bonus: Targets healed by your Chain Heal spell receive an additional 15% of the healing received over time. Item – Warlock T17 Affliction 2P Bonus: While channeling Drain Soul on a target afflicted by your Corruption, Unstable Affliction, and Agony, the chance for Nightfall to activate is increased by 5%. Item – Warlock T17 Affliction 4P Bonus: When Nightfall activates, the cooldown of Dark Soul is reduced by 10 sec. Item – Warlock T17 Demonology 2P Bonus: Shadowbolt has a 50% chance empower your inner demon, temporarily bringing your Metamorphosis form out even while you are not transformed. Item – Warlock T17 Demonology 4P Bonus: Corruption has a 10% chance to generate 1 charge of Hand of Gul’dan when dealing damage. Item – Warlock T17 Destruction 2P Bonus: Consuming an ember reduces the cooldown of Dark Soul by 5 sec. Item – Warlock T17 Destruction 4P Bonus: When Immolate deals damage it has a 10% chance to add a charge to Conflagrate. Item – Warrior T17 Arms 2P Bonus: Slam critical strikes reduce the cooldown of Recklessness by 5 sec. Item – Warrior T17 Arms 4P Bonus: Colossus Smash has a 50% chance to grant you the Deadly Calm effect.Deadly Calm reduces the Rage cost and cooldown of your Mortal Strike by 50% for 10 sec. Item – Warrior T17 Fury 2P Bonus: Wild Strike critical strikes have a 50% chance to activate Enrage. Item – Warrior T17 Fury 4P Bonus: When you activate Recklessness, you also gain the Rampage effect.Rampage increases your attack speed and critical strike chance by 0% every second Recklessness is active. Anti-Magic Shell: Surrounds the Death Knight in an Anti-Magic Shell for 5 sec, absorbing 75% of all magical damage and preventing application of harmful magical effects. Damage absorbed generates Runic Power. Army of the Dead: Summons a legion of Ghouls over 4 sec who will fight for the Death Knight for 40 sec, swarming the area, taunting and fighting anything they can. Blood Presence: You assume the presence of Blood, increasing Stamina by 25%, and base armor by 55%, and reducing damage taken by 10%. Threat generation is significantly increased.Activating a new Presence will cancel this one and consume any stored Runic Power. Chains of Ice: Shackles the target with frozen chains, reducing movement speed by 60% for 8 sec, and infecting the target with Frost Fever. Dark Command: Now Blood Only Commands the target to attack you, and increases threat that you generate against the target by 200% for 3 sec. 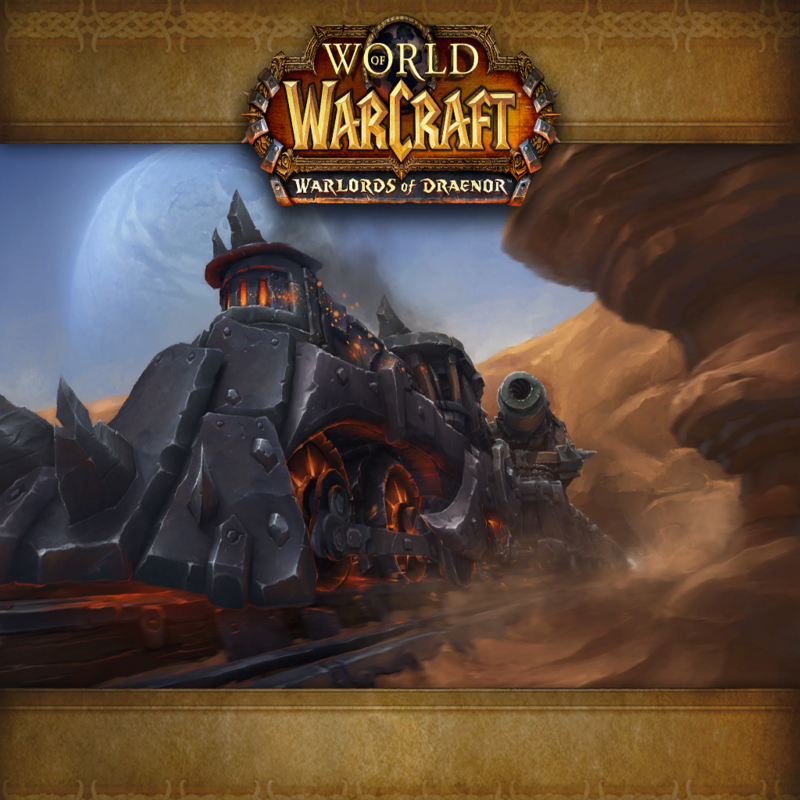 Death and Decay: Corrupts the ground targeted by the Death Knight, causing [(6.9264% of Attack power) * 10] Shadow damage over 10 sec to targets within the area. Death Coil: Fires a blast of unholy energy at the target, causing [(0 + 1.272 * Attack power) * 1] Shadow damage to an enemy or healing an Undead ally for [(0 + 0.514 * Attack power) * 3.5 * 1.5]. Death Grip: Harnesses the energy that surrounds and binds all matter, drawing the target toward the Death Knight and forcing the enemy to attack the Death Knight for 3 sec. Frost Presence: Strengthens you with the presence of Frost, increasing Runic Power generation by 20%, and reducing the duration of effects that remove control of your character by 20%. Activating a new Presence will cancel this one and consume any stored Runic Power. Horn of Winter: The Death Knight blows the Horn of Winter, increasing attack power of all party and raid members within 100 yards by 10% for 1 hour. On a Pale Horse: You become as hard to stop as death itself. The duration of movement-slowing effects used against you is reduced by 30%, and your mounted speed is increased by 20%. Path of Frost: Activates a freezing aura for 10 min that creates ice beneath your feet, allowing party or raid members within 50 yards to walk on water. Useable while mounted, but being attacked or damaged will cancel the effect. Pestilence: Deals (66.6% of Attack power) Shadow damage to all enemies within 10 yards, and spreads your existing diseases from your target to all other enemies hit. Strangulate: Shadowy tendrils constrict an enemy’s throat, silencing them for 5 sec. Unholy Presence: You are infused with unholy fury, increasing haste by 10%, and movement speed by 15%.Activating a new Presence will cancel this one and consume any stored Runic Power. Bone Shield: Surrounds you with a barrier of whirling bones with 6 charges that reduces all damage you take by 20%. Each damaging attack consumes a charge. Lasts 5 min or until all charges are consumed. Crimson Scourge: Your successful melee attacks on targets infected with your Blood Plague have a 10% chance to make your next Pestilence or Death and Decay cost no runes. Dancing Rune Weapon: Summons a second rune weapon that mirrors its master’s attacks and bolsters its master’s defenses, granting an additional 20% parry chance. Scent of Blood: Your Pestilence and Soul Reaper increase the healing done by your next Death Strike within 20 sec by 20%. This effect stacks up to 5 times.Additionally, your Pestilence refreshes your diseases on targets it damages. Vampiric Blood: Increases maximum health by 15% and increases healing received by 25% for 10 sec. Will of the Necropolis: Damage taking you below 30% health will instantly grant a charge of Rune Tap, make your next Rune Tap free, and reduce all damage taken by 25% for 4 sec. This effect cannot occur more than once every 45 sec. Killing Machine: Your autoattacks have a chance to increase the critical strike chance of your next Obliterate or Frost Strike by 100%. Pillar of Frost: The power of Frost increases the Death Knight’s Strength by 20%, and grants immunity to external movement effects such as knockbacks. Lasts 20 sec. Unholy Aura: Increases the haste of all party and raid members within 100 yards by 5%, and their Versatility by 3%. Ebon Plaguebringer: Increases the damage your diseases deal by 60% and causes your Plague Strike to also apply Frost Fever. Sudden Doom: Unholy Presence grants your main-hand autoattacks a chance to make your next Death Coil cost no Runic Power. Summon Gargoyle: A Gargoyle flies into the area and bombards the target for 30 sec. Touch of Death: You exploit the enemy target’s weakest point, instantly killing them.Only usable on non-player targets who have less than 10% of their maximum health remaining or less health than your maximum health. Transcendence: You split your body and spirit, leaving your spirit behind for 15 min.Use Transcendence: Transfer to swap locations with your spirit. Transcendence: Transfer: Your body and spirit swap locations. Zen Meditation: Reduces all damage taken by 90% for 8 sec. Being the victim of a melee attack will break your meditation, cancelling the effect. Elusive Brew: Consumes all stacks of Elusive Brew to increase your chance to dodge melee and ranged attacks by 30% for 1 sec per stack.Your autoattack critical strikes grant up to 30 stacks of Elusive Brew. Stance of the Sturdy Ox: Reduces damage taken by 25%, chance to be critically hit by 6%, and chance to be parried by 3%.Increases Stamina by 20%, and Energy regeneration by 10%, and reduces the Energy cost of Jab by 10.Fortifying Brew also increases your Stagger amount by 20% while active.Tiger Palm no longer costs Chi.After you Blackout Kick, you gain Shuffle, increasing your parry chance by 20% and your Stagger amount by an additional 20% for 6 sec.Also reduces the global cooldown of all of your spells and abilities by 0.5 sec, and allows you to Stagger damage.While at or below 35% health, your Expel Harm has no cooldown.StaggerYou shrug off physical attacks, causing 80% of the damage to happen instantly and the remaining 20% to be divided over 10 sec. Tigereye Brew: Consumes up to 10 stacks of Tigereye Brew to increase damage and healing done by 6% per stack for 15 sec.For each 6 Chi you consume, you gain a stack of Tigereye Brew. You can have a maximum of 20 stacks. Mana Tea: Consumes 1 stack of Mana Tea per 0.5 sec to restore 4% of your maximum mana.For each 4 Chi you spend, you gain 1 stack of Mana Tea, with a chance equal to your critical strike chance to generate 1 extra stack. Stance of the Spirited Crane: Your attack power is equal to 100% of your spell power, and you no longer benefit from other sources of attack power. Also replaces your Energy resource with Mana.In addition, you also gain Eminence, causing you to heal the lowest health nearby target within 20 yards for 35% of the damage you deal.Each Chi that you consume grants you a stack of Vital Mists, reducing the cast time and mana cost of your next Surging Mist by 20%. Stacks up to 5 times. Lasts 30 sec.Eminence healing from Blackout Kick heals up to 0 targets for 100% of the damage done.Blackout Kick grants you Crane’s Zeal, increasing your critical strike chance by 20% for 20 sec.Crackling Jade Lightning channels 0% faster and generates 1 Chi each time it deals damage.Haste effects lower the global cooldown of your spells and abilities. Stance of the Wise Serpent: Increases healing done by 20% and replaces your Energy resource with Mana.While in Stance of the Wise Serpent, Crackling Jade Lightning costs no mana.Your Spinning Crane Kick heals nearby injured allies for 0 every 0.8 sec for 2.25 sec.Haste effects lower the global cooldown of your spells and abilities. Mark of the Wild: Increases the friendly target’s Strength, Agility, and Intellect by 5%, and Versatility by 3% for 1 hour. 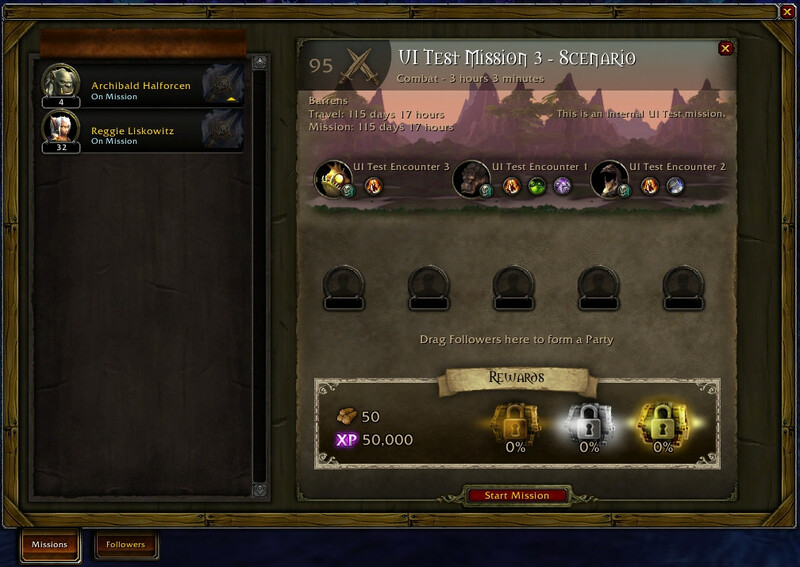 If target is in your party or raid, all party and raid members will be affected. Balance of Power: You align to the power of the Moon and Stars so your direct damage spells reenergize your damage over time effects.Your Starfires extend the duration of Moonfire by 6 sec.Your Wraths extend the duration of Sunfire by 4 sec.Also increases the damage over time of your Moonfire and Sunfire by 10%. Astral Showers: You call upon greater Lunar and Solar energy in order to empower your Moonfire and Sunfire spells.Moonfire’s duration is increased by 100%.Sunfire’s damage over time effect is now applied to all enemies within 5 yards of the target. Celestial Alignment: You enter Celestial Alignment, a state where your Balance Energy cycle is paused, and all of your Lunar and Solar spells benefit from your maximum Eclipse bonus.Also increases your damage dealt by 20%, and causes your Moonfire and Sunfire spells to also apply the other’s damage over time effect.Lasts 15 sec. Moonkin Form: Shapeshift into Moonkin Form, increasing Arcane and Nature damage you deal by 10% and increasing your armor by 100%.Grants 118% haste to all party and raid members within 100 yards.The act of shapeshifting frees the caster of movement impairing effects. Shooting Stars: You have a 5% chance when your most recent Moonfire or Sunfire deals damage over time to trigger Shooting Stars. Chance doubled on critical strikes.Shooting Stars restores 1 charge of Starsurge and Starfall. Leader of the Pack: Now Feral only. While in Bear Form or Cat Form, increases critical strike chance of all party and raid members within 100 yards by 5%.Also causes your melee critical strikes to heal you for 3% of your health. This effect cannot occur more than once every 6 sec. Mastery: Razor Claws: Increases the damage done by your bleed abilities by 25%. Aspect of the Cheetah: The Hunter takes on the aspect of a cheetah, increasing movement speed by 30%. If the Hunter is hit by an attack, his movement will be slowed by 70% for 4 sec. Only one Aspect can be active at a time. Aspect of the Pack: Party and raid members within 40 yards take on the aspects of a pack of cheetahs, increasing movement speed by 30%. Anyone hit by an attack while in this aspect will move 70% slower for 4 sec. Only one Aspect can be active at a time. Beast Lore: Gather information about the target beast. The tooltip will display damage, health, armor, diet, abilities, whether or not the creature is tameable, and if it is an exotic beast. Call Pet 2: Summons your second pet to you. Camouflage: You and your pet blend into your surroundings, becoming untargetable by ranged attacks. Reduces the range at which enemy creatures can detect you, and provides stealth while stationary.Traps can be used while camouflaged, but any damage done by you or your pet will cancel the effect. Lasts 1 min, or 6 sec if cast in combat. Counter Shot: Interrupts spellcasting, preventing any spell in that school from being cast for 3 sec. Deterrence: You deflect all attacks and take 30% less damage for 5 sec, but you cannot attack. Distracting Shot: Distracts the target to attack you for 6 sec, and increases threat you generate by 200% for 6 sec. Flare: Exposes all hidden and invisible enemies within 10 yards of the targeted area for 20 sec. Master’s Call: Your pet removes all root and movement impairing effects from itself and its target, and grants immunity to all such effects for 4 sec. Misdirection: You misdirect threat to the targeted party or raid member. All threat caused by your attacks for the next 8 sec will be transferred to the target. Multi-Shot: Fires several missiles, hitting your current target and all enemies within 8 yards for 30% of weapon damage. Steady Shot: A steady shot that causes 35% weapon damage and generates 14 Focus.Useable while moving. Tame Beast: Tames a beast to be your companion. If you lose the beast’s attention for any reason, the taming process will fail.You must dismiss any active beast companions and have an empty Call Pet slot before you can begin taming a new beast. Tranquilizing Shot: Removes 1 Enrage and 1 Magic effect from an enemy target. Bestial Wrath: Sends you and your pet into a rage for 10 sec. Your pet deals 20% additional damage and breaks all loss of control effects. You deal 10% more damage and your shots cost 50% less Focus. Cobra Shot: Deals 35% weapon damage as Nature and generates 14 Focus.Useable while moving. Cobra Strikes: Your successful Arcane Shots have a 15% chance to grant you 2 charges of Cobra Strikes. Each charge causes 1 of your pet’s Basic Attacks to critically hit. Max 6 charges. Focus Fire: Your pet’s Basic Attacks have a 40% chance to trigger Frenzy, granting 4% increased attack speed for 30 sec, stacking up to 5 times.Focus Fire consumes all your pet’s Frenzy, restoring 6 Focus to your pet and increasing your haste by 6% per Frenzy application consumed. Lasts for 20 sec. Invigoration: Your pet’s successful Basic Attacks have a 15% chance to grant you 20 Focus, and your auto-shot critical strikes grant your pet 15 Focus. Kill Command: Give the command to kill, causing your pet to instantly inflict [1.5 * (0 + (Ranged attack power * 1.575)) * 1] damage to its target. 25 yard range. Kill Shot: You attempt to finish off a wounded target, dealing 550% weapon damage. Only useable on enemies with less than 20% health. If the target dies, the Hunter will regain 15% of maximum health.If Kill Shot fails to kill the target, the cooldown is reset. Bombardment: Your critical strikes with Multi-Shot cause your subsequent Multi-Shots to cost 20 less Focus and cause 60% additional damage for 5 sec. Careful Aim: Increases the critical strike chance of your Steady Shot and Aimed Shot by 60% on targets who are above 80% health or while Rapid Fire is active. Chimera Shot: An instant shot that causes 255% ranged weapon Nature damage. Piercing Shots: Your critical strikes with Aimed Shot, Steady Shot, and Chimera Shot cause the target to bleed for an additional 30% of the initial damage over 8 sec. Black Arrow: Fires a Black Arrow at the target, dealing (141.858% of Attack power) damage over 20 sec.Black Arrow damage has a chance to cause your next two Explosive Shots to cost no Focus and trigger no cooldown. This occurs at least once per Black Arrow. Serpent Sting: Targets hit by your Multi-Shot and Arcane Shot are also afflicted by Serpent Sting, dealing (125.6% of Attack power) Nature damage over 15 sec. Serpent Sting grants you 3 Focus each time it deals damage. You can gain Focus this way only once every 3 sec. Trap Mastery: Reduces the cooldown of all traps and Black Arrow by 6 sec, and provides additional benefits on each Trap:Ice Trap and Freezing Trap – Increases duration by 30%.Explosive Trap and Black Arrow – Increases damage over time done by 30%.Snake Trap – Increases number of snakes summoned by 4. Viper Venom: You gain 3 Focus each time your Serpent Sting deals damage. This effect can only occur every 3 sec. Conjure Refreshment: Conjures mana food providing the Mage and his allies with something to eat. Conjured items disappear if logged out for more than 15 minutes. Conjure Refreshment Table: Conjures a refreshment table. Raid members can click the table to acquire conjured mana food. The table lasts for 3 min or 50 charges. Frostfire Bolt: Launches a bolt of frostfire at the enemy, causing (112.5% of Spell power) Frostfire damage and slowing the target’s movement by 40% for 8 sec. Ice Block: You become encased in a block of ice, protecting you from all attacks and damage for 10 sec, but during that time you cannot attack, move or cast spells. Causes Hypothermia, preventing you from recasting Ice Block for 30 sec. Mage Bomb: Casts a powerful damage over time effect based upon your talent choice. Slow Fall: Slows a friendly party or raid target’s falling speed for 30 sec. Unstable Magic: Arcane Blast, Fireball, and Frostbolt have a 30% chance to explode on impact, dealing an additional 50% damage to the target, and all other enemies within 8 yards. Arcane Blast: Blasts the target with energy, dealing (72.1% of Spell power) Arcane damage and generating an Arcane Charge.Arcane Blast’s damage is increased by 50% per Arcane Charge, and its mana cost is increased by 150% per Arcane Charge. Arcane Explosion: Causes an explosion of arcane magic around the caster, dealing (41.25% of Spell power) Arcane damage to all targets within 10 yards. Presence of Mind: Causes your next Mage spell to be instant. Does not apply to Polymorph, Portal, or Teleport spells. Slow: Reduces the target’s movement speed by 50% for 15 sec. Combustion: Resets the cooldown on Inferno Blast and combusts your Ignite on the target, burning for additional damage over 10 sec equal to 8 seconds of Ignite’s current damage over time. Dragon’s Breath: Targets in a cone in front of the caster take (40.95% of Spell power) Fire damage and are disoriented for 4 sec. Any direct damage will cancel the effect. Flamestrike: Calls down a pillar of fire, burning all enemies within the area for (38.85% of Spell power) Fire damage and an additional (40.5% of Spell power) Fire damage over 8 sec and reducing their movement speed by 50% for the duration. Inferno Blast: Blasts the enemy for (101.3% of Spell power) Fire damage and spreads your Fire damage effects on the target to up to 3 enemies within 10 yards. Inferno Blast will always deal a critical strike. Replaces Fire Blast. Mastery: Ignite: Your target burns for an additional 12% over 4 sec of the total direct damage caused by your Fireball, Frostfire Bolt, Inferno Blast, Scorch, Pyroblast, Flamestrike, and their multistrikes. If this effect is reapplied, any remaining damage will be added to the new Ignite. Pyroblast: Hurls an immense fiery boulder that causes (163% of Spell power) Fire damage and an additional (178.2% of Spell power) Fire damage over 18 sec.Getting two single-target non-periodic Fire critical strikes in a row will make your next Pyroblast instant, cost no mana, and deal 25% additional damage. Scorch: Scorch the enemy for (62.775% of Spell power) Fire damage. Castable while moving. Brain Freeze: Your Frostbolts have a 60% chance to cause the Brain Freeze effect. Each multistrike increases that cast’s chance by an additional 45%.The Brain Freeze effect causes your next Frostfire Bolt to cost no mana, deal 60% additional damage, and act as if your target were frozen. Fingers of Frost: Your successful Frostbolts, Frostfire Bolts and Frozen Orb hits have a 15% chance, and your Blizzard ticks have a 5% chance to grant you the Fingers of Frost effect.The Fingers of Frost effect causes your next Ice Lance or Deep Freeze to act as if your target were frozen, and increases Ice Lance damage by 25%.Limit 2 charges. Frost Armor: Increases multistrike chance by 8% and causes enemies who strike the caster to be slowed by 30% for 5 sec. Icy Veins: Accelerates your spellcasting, granting 20% haste and preventing spell pushback. Lasts 20 sec. Mastery: Icicles: When you damage enemies with Frostbolt and Frostfire Bolt, and their multistrikes, 16% of the damage done is stored as an Icicle with you, for 30 sec. Also increases the damage of your Water Elemental’s Waterbolt by 16%.Up to 5 Icicles can be stored at once. Casting Ice Lance causes any Icicles to begin launching at the target. Shatter: Multiplies the critical strike chance of all your spells against frozen targets by 1.5 and adds another 50% chance. Summon Water Elemental: Summons a Water Elemental to fight for the caster.Casting Frostbolt on your Water Elemental will heal it for (225% of Spell power). Crusader Strike: An instant strike that causes 100% weapon damage. Flash of Light: Heals a friendly target for (185.304% of Spell power). Hand of Sacrifice: Places a Hand on a party or raid member, transferring 30% damage taken to the Paladin for 12 sec or until the Paladin has transferred 100% of their maximum health. Players may only have one Hand on them per Paladin at any one time. Judgment: Causes (50.21% of Spell power + 60.3% of Attack power) Holy damage. Requires an active Seal to cast. Seal of Righteousness: Fills you with Holy Light, causing melee attacks to deal 5% weapon damage to all targets within 8 yards. Seal of Truth: Fills you with Holy Light, causing melee attacks to deal 12% additional weapon damage as Holy and apply Censure to the target.Replaces Seal of Command.CensureDeals [(5.148% of Spell power) * 5] additional Holy damage over 15 sec. Stacks up to 5 times. Sanctity Aura: You radiate holy energy, granting all nearby party and raid members 3% Versatility. Hand of Purity: Places a Hand on the friendly target, reducing damage taken by 10% and damage from damage over time effects by an additional 80% (less for some creature attacks) for 6 sec. Players may only have one Hand on them per Paladin at any one time. Beacon of Faith: Mark a second target as a Beacon, mimicking the effects of Beacon of Light. Beacon of LightYour heals on other party or raid members will also heal the Beacon of Light target for up to 50% of the amount healed. Your Flash of Light and Holy Light on the Beacon of Light target will also generate 1 Holy Power. Empowered Seals: Your Seals also cause your Judgment to empower you with an additional beneficial effect which persists through changing Seals:Judgment of JusticeIncreases your movement speed by 20% for 20 sec.Judgment of InsightHeals you for 3% of your maximum health every 2 sec for 20 sec.Judgment of RighteousnessIncreases your attack speed by 30% for 20 sec.Judgment of TruthIncreases your attack power by 15% for 20 sec. Avenging Wrath: Imbues you with wrathful light, increasing healing done by 100% and haste, critical strike chance, and damage by 20% for 20 sec. Beacon of Light: Your heals on other party or raid members will also heal the Beacon of Light target for up to 50% of the amount healed. Your Flash of Light and Holy Light on the Beacon of Light target will also generate 1 Holy Power. Daybreak: Casting Holy Radiance causes your next Holy Shock to also heal each ally within 10 yards of the target for 15% of the original healing done. Can accumulate up to 2 charges. Holy Light: Heals a friendly target for (185.304% of Spell power). Holy Radiance: Imbues a friendly target with radiant energy, healing that target for (151.319% of Spell power) and all allies within 10 yards for half that amount. Grants 1 Holy Power.Healing effectiveness diminishes for each player target beyond 6. Holy Shock: Deals (102% of Spell power) Holy damage to an enemy, or (122.162% of Spell power) healing to an ally, and grants 1 Holy Power.Holy Shock has double the normal critical strike chance. Infusion of Light: Your Holy Shock criticals reduce the cast time of your next Holy Light or Holy Radiance by 1.50 sec.Also increases your haste by 10%. Light of Dawn: Consumes up to 3 Holy Power to unleash a wave of healing energy, healing 6 injured targets in your party or raid within 30 yards for up to [(24.4992% of Spell power) * 3]. Avenger’s Shield: Hurls your shield at an enemy target, dealing (237.6% of Attack power) Holy damage, interrupting and silencing the target for 3 sec, and then jumping to 2 additional nearby enemies. Grand Crusader: When you dodge or parry a melee attack you have a 30% chance of refreshing the cooldown on your next Avenger’s Shield and causing it to generate 1 Holy Power. Hammer of the Righteous: Hammer the current target for 35% weapon damage, causing a wave of light that hits all other targets within 8 yards for 20% Holy weapon damage. Grants 1 Holy Power. Divine Storm: Deals 50% weapon damage as Holy damage to all enemies within 8 yards. Exorcism: Blasts the target with Holy Light, causing (117.1% of Attack power) Holy damage and generating 1 Holy Power.Your autoattacks have a 20% chance of resetting the cooldown of your Exorcism. Mastery: Hand of Light: Your Crusader Strike, Hammer of the Righteous, Hammer of Wrath, Templar’s Verdict, Divine Storm, and their multistrikes deal 15.0% additional damage as Holy damage. Sword of Light: Increases the damage you deal with two-handed melee weapons by 30%. Templar’s Verdict: A powerful weapon strike that deals 185% weapon damage. Divine Star: Fires a Divine Star in front of you, traveling 24 yds, causing (56.6695% of Spell power) healing to all allies within 4 yds of its path.After reaching its destination it will return to you, also dealing damage and healing to all targets in its path. This spell can be cast while moving. Divine Insight: Damage over time from your Shadow Word: Pain and damage from your Mind Spike has a 5% chance to reset the cooldown on Mind Blast and cause your next Mind Blast within 12 sec to be instant cast and cost no mana. Divine Star: Fires a Divine Star in front of you, traveling 24 yds, causing (45.5356% of Spell power) Shadow damage to all enemies within 4 yds of its path.After reaching its destination it will return to you, also dealing damage and healing to all targets in its path. This spell can be cast while moving. Surge of Darkness: Damage over time from your Vampiric Touch and Devouring Plague has a 20% chance to grant you Surge of Darkness, causing your next Mind Spike to not consume your damage over time effects, become instant cast, cost no mana, and deal 50% additional damage. Limit 3 charges. Devouring Plague: Consumes up to 3 Shadow Orbs to deal up to (337.5% of Spell power) Shadow damage and then up to an additional 100% of the initial damage over 6 sec. Heals the caster for up to 15% of maximum health over the duration. Mind Spike: Blasts the target for (97.5% of Spell power) Shadowfrost damage, but extinguishes your damage over time effects on the target. Shadowy Apparitions: When you deal critical damage over time with your Shadow Word: Pain, you also create a shadowy version of yourself that floats towards the target and deals (45% of Spell power) Shadow damage. Ambush: Ambush the target, causing 250% weapon damage to the target (361.75% if a dagger is equipped). Awards 2 combo point. Blind: Blinds the target, causing it to wander disoriented for up to 1 min. Any damage caused will remove the effect. Useable while stealthed. Cheap Shot: Stuns the target for 4 sec. Awards 2 combo point. Cloak of Shadows: Provides a moment of magic immunity, instantly removing all harmful spell effects. The cloak lingers, causing you to resist harmful spells for 5 sec. Crippling Poison: Coats your weapons with a Non-Lethal Poison that lasts for 1 hour. Each strike has a 50% chance of poisoning the enemy, slowing movement speed by 50% for 12 sec. Distract: Throws a distraction, attracting the attention of all nearby monsters for 10 seconds. Useable while stealthed. Fleet Footed: Your movement speed is increased by 15% and you take reduced falling damage. Garrote: Garrote the enemy, silencing them for 3 sec and causing [((8.91% of Attack power) + Attack power * 1 * 0.135) * 6] damage over 18 sec. Awards 1 combo point. Preparation: Immediately resets the cooldown on your Sprint, Vanish, and Evasion. Sap: Incapacitates a target not in combat for up to 1 min. Only works on Humanoids, Beasts, Demons and Dragonkin. Any damage caused will revive the target. Only 1 target may be sapped at a time. Shiv: Deals 10% weapon damage, applying a concentrated form of your active Non-Lethal poison, and dispelling an Enrage effect from the target.See individual Non-Lethal poisons for their concentrated effects. Shroud of Concealment: Extend a cloak that wraps party and raid members within 0 yards in shadows, providing stealth for 15 sec. Sprint: Increases your movement speed by 70% for 8 sec. Useable while stealthed. Swiftblade’s Cunning: Increases the haste and multistrike chance of all party and raid members within 100 yards by 5%. Tricks of the Trade: The threat caused by your next damaging attack and all actions taken for 6 sec afterwards will be transferred to the target party or raid member. Transferred threat is not permanent, and will fade after 30 sec. Wound Poison: Coats your weapons with a Lethal Poison that lasts for 1 hour. Each strike has a 30% chance of poisoning the enemy, which instantly inflicts (21.8% of Attack power) Nature damage and reduces all healing received for 12 sec. Blindside: Performing a successful Mutilate has a 30% chance of leaving you in an advantageous position, enabling a single use of Dispatch with no energy cost, regardless of the enemy target’s health. Cut to the Chase: Your Eviscerate refreshes your Slice and Dice duration to its 5 combo point maximum. Dispatch: Exploits the vulnerability of foes with less than 35% health, causing 315% weapon damage to the target. Awards 1 combo point.Your successful Mutilates have a 30% chance to make your next Dispatch free and useable on any target.Replaces Sinister Strike. Envenom: Finishing move that deals instant Nature damage, refreshes the duration of Slice and Dice if it is active, and increases your poison application chance by 15%. Damage and duration increased per combo point. 1 point : [Attack power * 0.306 + (1)] damage, 2 sec 2 points: [Attack power * 0.306 * 2 + (2)] damage, 3 sec 3 points: [Attack power * 0.306 * 3 + (3)] damage, 4 sec 4 points: [Attack power * 0.306 * 4 + (4)] damage, 5 sec 5 points: [Attack power * 0.306 * 5 + (5)] damage, 6 secReplaces Eviscerate. Fan of Knives: Sprays knives at all targets within 10 yards, dealing (23.1% of Attack power) Physical damage and applying your active poisons at their normal rate. Awards 1 combo points. Seal Fate: When you critically strike with a melee attack that generates combo points, you gain an additional combo point. Vendetta: Marks an enemy for death for 20 sec, increasing all damage you deal to the target by 30%, and making the target visible to you even through concealments such as stealth and invisibility. Venomous Wounds: Each time your Rupture deals damage, your poisons on the target have a 75% chance to deal (32% of Attack power) additional Nature damage and you regain 10 Energy.If an enemy dies while afflicted by your Rupture, you regain up to 120 energy, based on remaining duration. Bandit’s Guile: Take advantage of the natural ebb and flow of combat, causing your Sinister Strike to gradually increase your damage dealt by up to 30%. This maximum effect will last for 15 sec before fading and beginning the cycle anew. Blade Flurry: While active, your attacks also strike up to 4 additional nearby opponents for 40% of normal damage, but your Energy regeneration is reduced by 20%. Lasts until canceled. Combat Potency: Your successful off-hand attacks have a chance to generate 15 Energy. Slower weapons have a higher chance. Killing Spree: Step through the shadows to a visible enemy within 10 yards, attacking 7 times over 3 sec with both weapons for 100% weapon damage.While Blade Flurry is active, each Killing Spree attack will teleport to and damage a different nearby enemy target. Mastery: Main Gauche: Your main-hand attacks have a 16% chance to trigger an attack with your off-hand that deals 150% weapon damage. Revealing Strike: Deals 80% weapon damage, increasing the effect of your offensive finishing moves on that target by 35%, and giving your Sinister Strike a 20% chance to generate an extra combo point. Lasts 24 sec. Awards 1 combo points. Backstab: Backstab the target, causing 130% weapon damage. Must not be in front of the target. Awards 1 combo point. Hemorrhage: An instant strike that deals 65% weapon damage (94.25% if a dagger is equipped), and causes the target to bleed for an additional 100% of the initial damage over 24 sec. Awards 1 combo point.Replaces Sinister Strike. Premeditation: Adds 2 combo points to your target. You must add to or use those combo points within 18 sec or the combo points are lost. Shadow Dance: Enter the Shadow Dance for 8 sec, allowing the use of abilities that ordinarily require Stealth, and reducing the Energy cost of Ambush by 20. Lightning Bolt: Fires a bolt of lightning at the target, dealing (95.337% of Spell power) Nature damage. Unleash Flame: Unleashes elemental forces of Flame, increasing the damage dealt by the Shaman’s next Fire spell by 40%. Water Shield: The caster is surrounded by globes of water, granting 84 mana per 5 sec. When a melee attack hits the caster, the caster regains 115 mana. This effect can only occur once every few seconds. Lasts 1 hour.Only one of your Elemental Shields can be active on you at once.Replaces Lightning Shield. Unleashed Fury: Empowers your Unleash Flame,increasing the enemy target’s damage taken from your Lightning Bolt by 30%, and from your Lava Burst by 10% for 10 sec. Chain Lightning: Hurls a lightning bolt at the enemy, dealing (30.6555% of Spell power) Nature damage and then jumping to additional nearby enemies. Affects 3 total targets. Lava Surge: Your Flame Shock damage over time has a chance to reset the cooldown of your Lava Burst spell and cause your next Lava Burst spell to be instant. Shamanism: Increases the damage of Lightning Bolt by 36% and Chain Lightning by 100%, reduces the casting time of Lightning Bolt by 0.5 sec, and removes the cooldown from Chain Lightning. Fire Nova: Ignites your Flame Shock spell on any nearby enemies, causing each of them to emit a wave of flames that deals (48.0697% of Spell power) Fire damage to every other enemy within 10 yards. Flurry: Melee haste effects lower the cooldown and global cooldown of your Stormstrike, Lava Lash, Shocks, Unleash Elements, and Fire Nova. Lava Lash: You charge your off-hand weapon with lava, instantly dealing 260% of that weapon’s damage to an enemy target and spreading your Flame Shock from the target to up to 4 enemies within 12 yards. Magma Totem: Summons a Fire Totem with 5 health at the feet of the caster for 1 min that causes (8.5% of Spell power) Fire damage to creatures within 8 yards every 2 seconds. Stormstrike: Instantly strike an enemy with both weapons, dealing 160% weapon damage and granting you an additional 25% chance to critically strike that enemy with your Nature damage spells for 15 sec. Unleash Elements: Unleashes elemental forces of Flame and Wind, increasing the damage done by the Shaman’s next Fire spell by 40%, and increasing the Shaman’s attack speed by 60% for the next 6 swings. Dark Intent: Infuses all party and raid members with shadow, increasing their spell power by 10% and multistrike chance by 5% for 1 hour.If the target is in your party or raid, all party and raid members will be affected. Cataclysm: Conjures a cataclysm at the target location, dealing (375% of Spell power) Shadowflame damage to all enemies within 0 yards, and applying. Drain Soul: Drains the soul of the target, causing (15% of Spell power) Shadow damage every 1 sec for 4 sec. If the target dies and yields experience or honor, one Soul Shard is energized.Every 1 sec, when Drain Soul deals damage, it causes all of your other Warlock damage over time effects to instantly deal 40% of their normal damage over time. Haunt: You send a ghostly soul into the target, dealing (295.5% of Spell power) Shadow damage and increasing all damage over time done by your spells on the target by 35% for 8 sec. Soulburn: Haunt: Grants the Soulburn empowerment to your Haunt spell.Your Haunt spell also increases the damage of your damage over time effects by 15% for 30 sec. Battle Shout: Increases the attack power of all raid and party members within 100 yards by 10% for 1 hour. Targets may only have one Shout active on them per Warrior. Commanding Shout: Increases the Stamina of all party and raid members within 100 yards by 10% for 1 hour. Targets may only have one Shout active on them per Warrior. Deep Wounds: Your Mortal Strike, Bloodthirst, Devastate, and Thunder Clap cause the target to bleed for (300% of Attack power) Physical damage over 15 sec.This effect is cancelled if the target reaches full health. Enrage: Shield Slam and Devasate critical strikes and critical blocks Enrage you, generating 10 Rage and increasing damage done by 10% for 6 sec. Execute: Attempt to finish off a wounded foe, causing 210% weapon damage to the target. Only usable on enemies that have less than 20% health. Hamstring: Maims the enemy for 20% weapon damage, reducing movement speed by 50% for 15 sec. Headlong Rush: Haste reduces your global cooldown, and the cooldown of Shield Slam and Thunder Clap. Heroic Leap: Leap through the air toward a targeted location, slamming down with destructive force to deal (52% of Attack power) Physical damage to all enemies within 8 yards. Heroic Strike: Instantly deals 75% weapon damage (105% if a one – handed weapon is equipped). This ability is not on the global cooldown. Intervene: Run at high speed toward an ally, intercepting the next melee or ranged attack within 10 sec while the target remains within 10 yards. Mocking Banner: Throw down a war banner within 30 yards that forces all enemies within 15 yards of the banner to focus attacks on the Warrior for 6 sec. Lasts 30 sec.You can Intervene to your war banner. Spell Reflection: Raise your shield, reflecting the next spell cast on you. Lasts 5 sec. Taunt: Taunts the target to attack you, and increases threat that you generate against the target by 200% for 3 sec. Victory Rush: Instantly attack the target, causing (74% of Attack power) damage and healing you for 25% of your maximum health.Can only be used within 20 sec after you kill an enemy that yields experience or honor. Inspiring Presence: You inspire all nearby party and raid members, granting 3% Versatility. Colossus Smash: Smashes a target for 400% weapon damage and weakens their defenses, allowing your attacks to bypass all of their armor for 6 sec. Bypasses less armor on players. Enraged Regeneration: Instantly heals you for 10% of your total health, and an additional 20% over 5 sec. Can be used while stunned. Mass Spell Reflection: Reflects the next spell cast on you and on all party and raid members within 20 yards for 5 sec.Replaces Spell Reflection. Safeguard: Run at high speed towards a party or raid member, removing all movement-impairing effects upon you, intercepting the next melee or ranged attack made against them and reducing their damage taken by 20% for 6 sec.Replaces Intervene. Vigilance: Focus your protective gaze on a party or raid member, reducing their damage taken by 30% for 12 sec.During the duration of Vigilance, your Taunt has no cooldown. Colossus Smash: Smashes a target for 140% weapon damage and weakens their defenses, allowing your attacks to bypass all of their armor for 6 sec. Bypasses less armor on players. Execute: Attempt to finish off a foe, causing 200% weapon damage to the target, and consuming up to 40 additional Rage to deal up to 400% additional weapon damage. Only usable on enemies that have less than 20% health. Mastery: Weapons Master: Increases the damage of your Mortal Strike, Colossus Smash, and Execute abilities by 20%. Mortal Strike: A vicious strike that deals 400% weapon damage and causes Mortal Wounds on the target. Mortal WoundsGrievously wounds the target, reducing the effectiveness of any healing received for 10 sec. Rallying Cry: Temporarily grants you and all party or raid members within 30 yards 15% increase to maximum health for 10 sec. After this effect expires, the health is lost. Recklessness: Grants your special attacks an additional 15% chance to critically strike, and increases critical strike damage by 10%. Lasts 10 sec. Sweeping Strikes: Your melee attacks strike an additional nearby opponent for 50% damage. Lasts 10 sec. Thunder Clap: Blasts all enemies within 8 yards for (102.889% of Attack power) damage and reduces their movement speed by 50% for 6 sec. Bloodthirst: Instantly attack the target for 60% main hand weapon damage, generating 10 Rage, and restoring 1% of your health.Bloodthirst has an additional 30% chance to be a critical strike. Crazed Berserker: You are a master of dual-wield combat, able to equip one-handed and two-handed weapons in both hands.You deal 20% additional damage when wielding only one-handed weapons.Your off-hand weapon damage is increased by 25% with two-handed weapons and by 50% with one-handed weapons. Raging Blow: A mighty blow that deals 115% weapon damage with both melee weapons.Becoming Enraged enables one charge of Raging Blow. Limit 2 charges. Whirlwind: In a whirlwind of steel you attack all enemies within 8 yards, causing 45% weapon damage to each enemy. Wild Strike: A quick strike with your off-hand weapon that deals 150% weapon damage and causes Mortal Wounds on the target. Unuseable without charges. Bloodthirst has a 20% chance of granting 3 charges. Mortal WoundsGrievously wounds the target, reducing the effectiveness of any healing received for 10 sec. Blood Craze: Your multistrikes from auto attacks trigger a Blood Craze.Blood Craze regenerates 3% of your health over 3 sec. When this effect is refreshed, the remaining portion is added to the new effect. Revenge: Instantly attack an enemy and two additional enemies, dealing (185% of Attack power) damage to each, and generating 20 Rage. Your successful dodges and parries reset the cooldown on Revenge. Shield Barrier: Raise your shield, absorbing (Attack power * 2.5) damage for the next 6 sec. Consumes up to 40 additional Rage to increase the amount absorbed. Shield Block: Raise your shield, blocking every melee attack against you for 6 sec. These blocks can be critical blocks. Maximum 2 charges. Shield Slam: Slam the target with your shield, causing [(Attack power * 3.83 + 1)] damage and generating 20 Rage.